We're constantly working on the Bluefruit LE firmware to add new features, and keep up to date with what customers need and want. 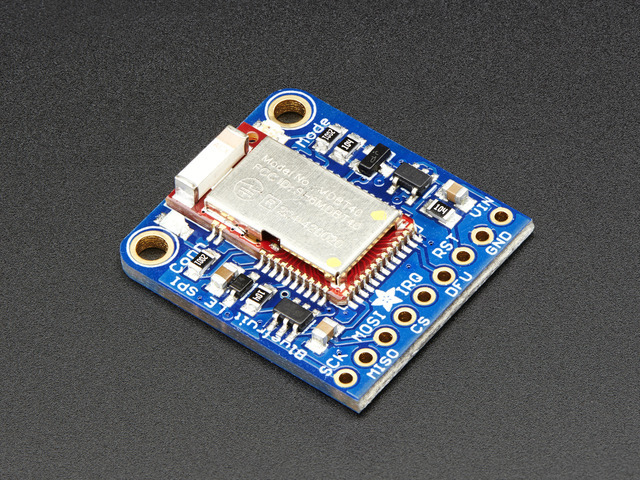 To make sure you stay up to date with those changes, we've included an easy to use over the air updater on all of our nRF51 based Bluefruit LE modules. Updating your Bluefruit LE device to the latest firmware is as easy as installing Adafruit's Bluefruit LE Connect application (Android) from the Google Play Store or Bluefruit LE Connect for iOS from the Apple App Store. This guide was first published on Jul 07, 2015. It was last updated on Jul 07, 2015. This page (DFU Updates) was last updated on Apr 24, 2019.